California has become the first state in the nation to require that state-licensed healthcare facilities offer vegan meals to patients as a standard option. The requirement also applies to state-run prisons. The bill signed into law by Gov. Jerry Brown does not extend to the foodservice facilities that serve employees of the affected institutions. Enactment of the legislation was applauded by the Physicians Committee for Responsible Medicine, a health advocacy group that has often been at odds with the restaurant industry over nutrition matters. 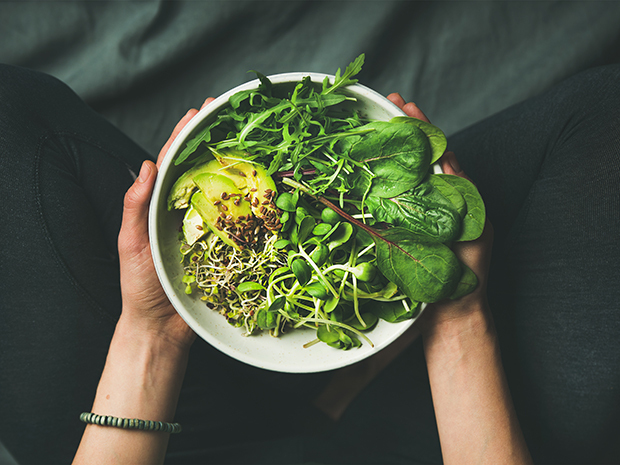 “Now, it’s time for California hospitals to start putting into practice the plant-based meals recommended by the American Medical Association and the American College of Cardiology,” Neal Barnard, president of the PCRM, said in a statement. According to the group, hospital and prison foodservices stand to cut their expenses under the new mandate. It quotes St. Joseph Health System in Sonoma County as saying that mixing vegan meals into its menus will save the facility about $5,000 annually. The requirement applies to licensed healthcare facilities, which are also required as part of their certification to employ a licensed dietician. Those institutions include acute care hospitals, acute psychiatric hospitals, skilled nursing facilities, intermediate care facilities, special hospitals and nursing homes. However, it specifies that healthcare facilities failing to meet the requirement will not be subject to criminal sanctions.